The 2010 Census Road Tour pulled into North Junior High School in Newburgh, NY on Friday, January 8, 2010. 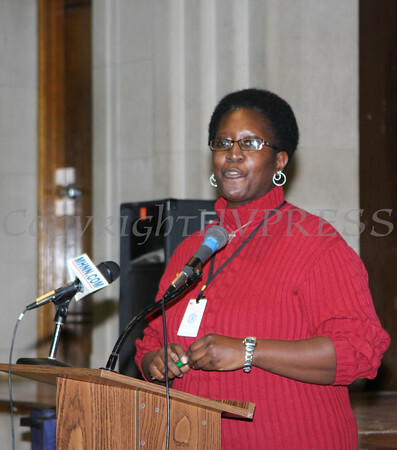 Local Census Office Manager Sharon Watts-Williams offers opening remarks during the 2010 Census Road Tour event at North Junior High School on Friday, January 8, 2010 in Newburgh, NY. Hudson Valley Press/CHUCK STEWART, JR.